Her bill advanced through the Legislature at a time when much of the United States is grappling with how it should remember its history. The presence and possible removal of Confederate statues and memorials in the South has ignited fiery debate in other states. In California, politicians have denounced recent white supremacist rallies in Virginia and elsewhere, condemning them as gatherings of racism and hate. California has its own Civil War history, but it also has a painful colonization history—one academics believe ought to be told more in schools. It’s a tale of a state founded by white colonists who wiped out much of the Native American population by bringing disease, forcing relocation, imposing starvation and carrying out what its more severe critics describe as a forgotten, state-sanctioned genocide of a people. “It’s a largely forgotten history that people are now being forced to come to grips with,” Madley said. Last year California school officials adopted a new statewide history framework for K-12 schools that advocates describe as a more holistic approach. 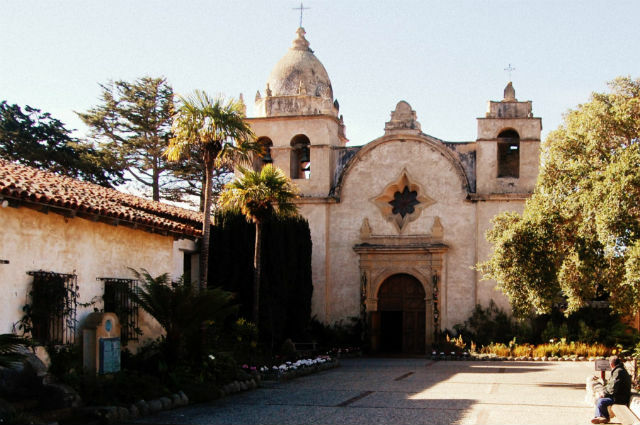 The framework, which is written as guideline for how teachers should teach, no longer suggests fourth-grade students studying California history build a Spanish mission, a project that had been a rite of passage for every fourth grader for years when learning about the settlement of California by missionaries. Rather, the guideline specifies that students should think about how life was for native Californians, look to maps to figure out why the houses Indians built varied so much and why natural resources were so critical to their way of life. “We tried to emphasize the importance of multiple perspectives,” says Nancy McTygue, a former high school history teacher and executive director of the California History-Social Science Project, which crafted the new framework. John C Frémont, one of California’s first U.S. senators, is celebrated with the naming of a Bay Area city, a lake in the Sierra Nevada and a street in San Francisco. Before he became a senator, historians say, he led massacres of peaceful Indian villages. His lieutenant Christopher “Kit” Carson, who rounded up Indians and destroyed their villages, has a town named after him in Amador County. California’s first governor, Peter Burnett, declared in his 1851 state of the state address to the Legislature, “That a war of extermination will continue to be waged between the races until the Indian race becomes extinct must be expected.” Elementary schools in Sacramento and Hawthorne bear his name. Although California was never part of the Confederacy, a few of its prominent figures resettled West, making the state home to a handful of remaining Confederate tributes. The city of Ft. Bragg in Mendocino County was named after Braxton Bragg, a general in the Confederate Army. Confederate Corners in Monterey County was named by Southern families who settled there after the Civil War. Joseph and John LeConte, who played key roles in manufacturing munitions for the Confederate Army, are memorialized on the campus of the University of California, Berkeley. John LeConte was the first UC Berkeley president, and Joseph LeConte was a geologist and natural historian. Johnston Street in Los Angeles is named after Albert Sidney Johnston, who lived in the neighborhood when he was a commanding general of the Confederate Army. In recent years, Californians have taken steps to remove the few references to Confederates that once dotted the state. The Legislature in 2014 banned the sale and display of the Confederate flag by the state of California. A year later, it sent legislation to Gov. Jerry Brown that would have called for the renaming of schools, buildings, parks, roadways or other state or local property that bore a Confederate name. Brown, however, vetoed that measure, saying it ought to be up to local officials. Already school boards in San Diego and Long Beach replaced Confederate Gen. Robert E. Lee’s name on elementary schools. In the wake of the Charlottesville protests, The Hollywood Forever Cemetery last month removed a monument that commemorated Confederate veterans, and the city of San Diego removed a plaque that honored Confederate President Jefferson Davis at Horton Park Plaza. And the state Senate last week unanimously passed a resolution urging the federal government to strip Confederate names from any federal parks, buildings and roadways. Sections of U.S. 99 in California are labeled Jefferson Davis Highway. Although the vote was unanimous, the debate prompted a number of senators to question whether politicians were trying to “whitewash” or erase history. That concern also rests on the minds of those critical of California’s colonists who wonder who’s next. Thomas Jefferson and George Washington for their slave-owning past? Martin Luther King for his alleged womanizing? “Are we going to go and dig up all the dirt on everyone?,” asks John Briscoe, a fellow at the University of California, Berkeley School of Law and an adjunct professor at University of California, Hastings College of the Law, who penned an op-ed in the San Francisco Chronicle this summer questioning the names behind two of California’s oldest universities. “This doesn’t end,” he added. In his op-ed, Briscoe points out that Serranus Hastings founded California’s oldest law school, Hastings College of Law, while Leland Stanford, a former California governor, established one of the country’s most prestigious universities in his son’s memory. Both promoted Indian hunting expeditions and profited off the theft of Indian land. But rather than rebrand the colleges, Briscoe is advocating for a serious dialogue.